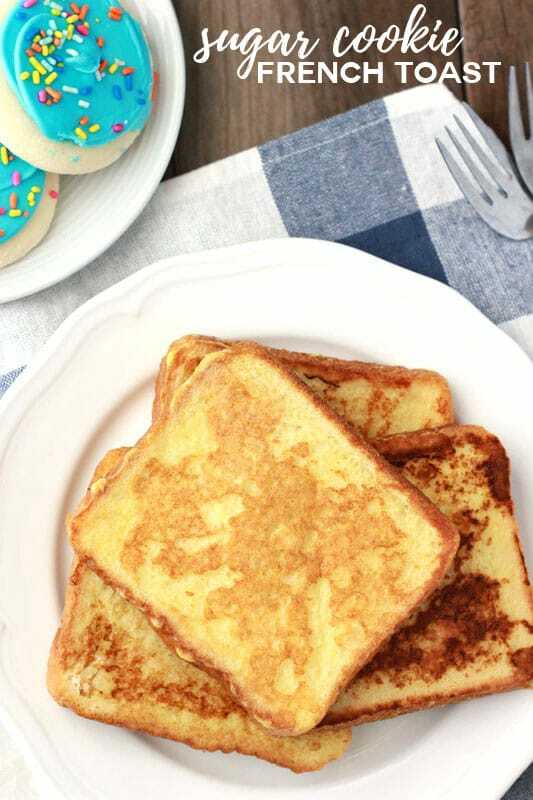 Sugar Cookie French Toast. Bring an extra special breakfast to the table with this super simple recipe. 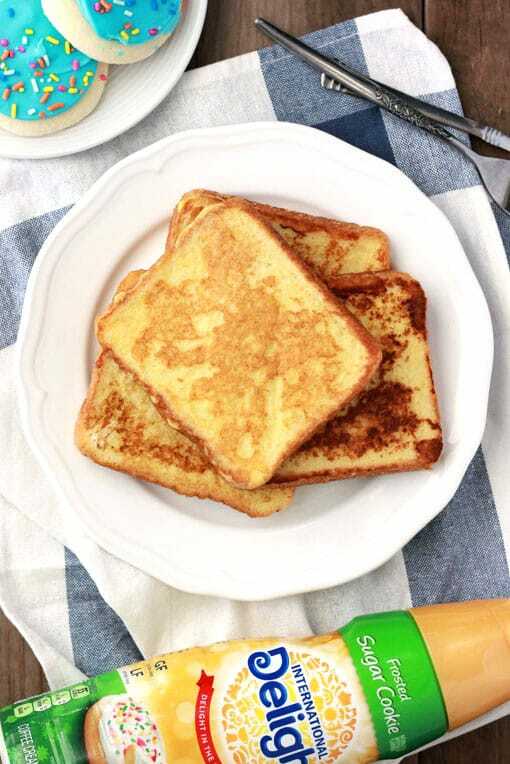 Coffee creamer is used in place of milk giving this French toast an extra special flavor. It is NOVEMBER people!! Do you know what that means? 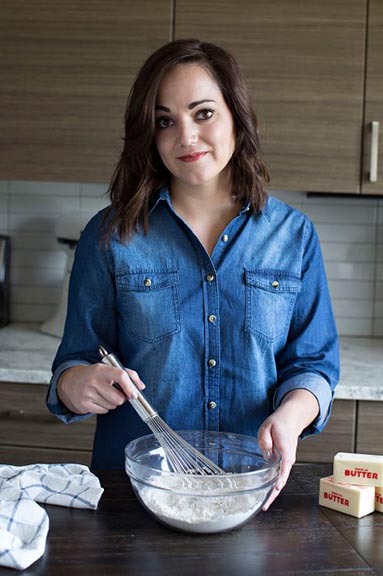 I have officially received the green light from my hubby to start making all of my favorite holiday inspired recipes AND this super easy recipe was the top of my list! Sugar cookies are a staple around this house from November to January. I count down the days to when International Delight® Sugar Cookie Coffee Creamer hits the shelves. Those seasonal flavors warm up my cup of joe every single day but did you know you can use them in recipes too? No joke. We are always switching up our pancakes, waffles, and French toasts by swapping milk/cream with our International Delight® favorites. It adds a whole new level of taste that sends your taste buds into overdrive but most importantly gets the stamp of approval from picky children! Just cruise to the creamer section of Walmart (or maybe in a bin type display) and pick up your favorite International Delight® seasonal flavor, some eggs, bread and you’re ready to make a holiday breakfast the entire family will love! If you’re lucky you’ll even be able to check out one of the demo’s they have going on during Thanksgiving weekend! Like this recipe? 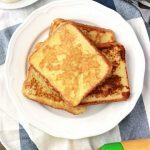 You will love my Pumpkin French Toast, Strawberry Cheesecake French Toast, and Sweet Banana French Toast! Heat a skillet over medium heat. Spread with melted butter. 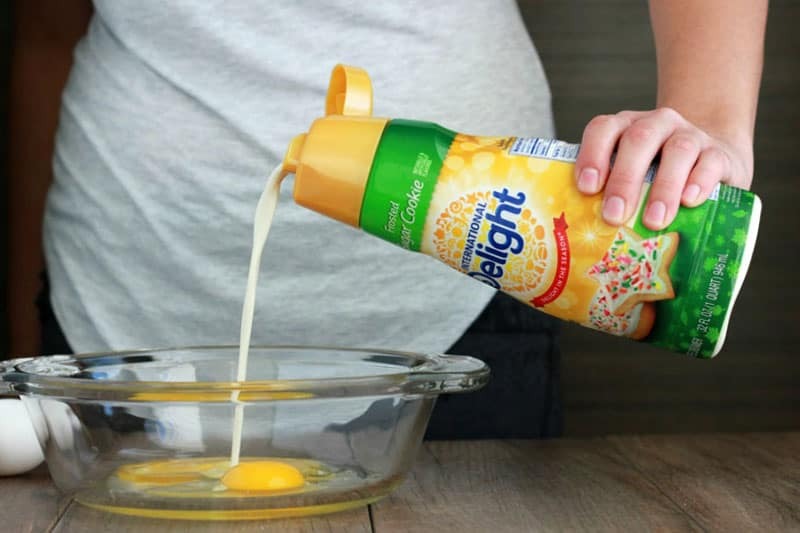 Whisk together your eggs and creamer. Dip each slice of bread in your egg mixture making sure to coat both the front and back. Place on your warmed pan and cook on each side for 2-3 minutes or until golden brown. Serve warm with whipped cream or syrup. I’m sorry you were disappointed, Martha. I know the cookie flavor is very subtle. We will add this to our “make again” recipe list and see if there aren’t some minor tweaks that need to be made.